On the late afternoon of November 16, 1532, a small group of Spanish adventurers led by Francisco Pizarro found themselves waiting for the most transcendent meeting of their lives: an encounter with Atahualpa, the last sovereign of the Inca Empire that dominated most of today’s South America. The world-changing meeting took place in the huge—at least by XVI century European’s standards—main square of Cajamarca, a settlement then only recently incorporated to the Inca Empire, and that served as an administrative and commercial center in the northern Peruvian Andes. Cajamarca was of course changed from this highly symbolic moment onwards, but that wouldn’t be the only way in which history changed from within its territory: mining, for good and for bad, proved fruitful both in the time of the Spanish Viceroyalty of Peru and in modern times, and shaped it from a minor village to a thriving villa and back again to an isolated city. 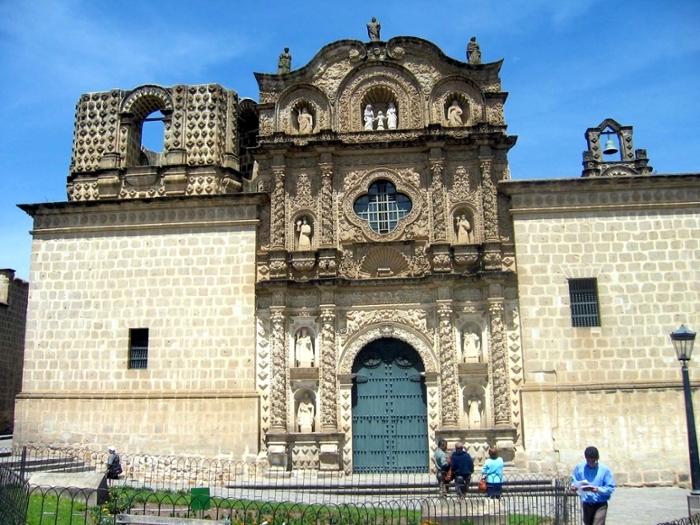 To study Cajamarca is to review a fascinating case of a city suspended in time, unique in its art and architectural manifestations, and that deploys the very latest expressions of the Peruvian Baroque. But it is also a unique case in terms of the little-studied residential architecture, with numerous stunning examples of houses where mining-rich families displayed all their new wealth. From the Incas to the XXI century, globalization has flirted with and finally come to the city in the XXI century, and it appears that its urbanism and structures—among other things—are not completely ready for it: thus, the future of Cajamarca is at a pivotal point in time, much like almost 500 years ago.